Each season brings special touches to our lives. Here are autumnal treats for fall. Cool, crisp autumn. The season’s changing leaves and shorter days bring rosy colors to cheeks and smiles to faces as we reconnect with home and loved ones. Fall is a time of bounty; harvests fill pantries with food, and pumpkins on porches welcome visitors. An inviting fall wreath sets the stage for welcoming comfort, with bright autumn colors that evoke memories and promises of the season to come. 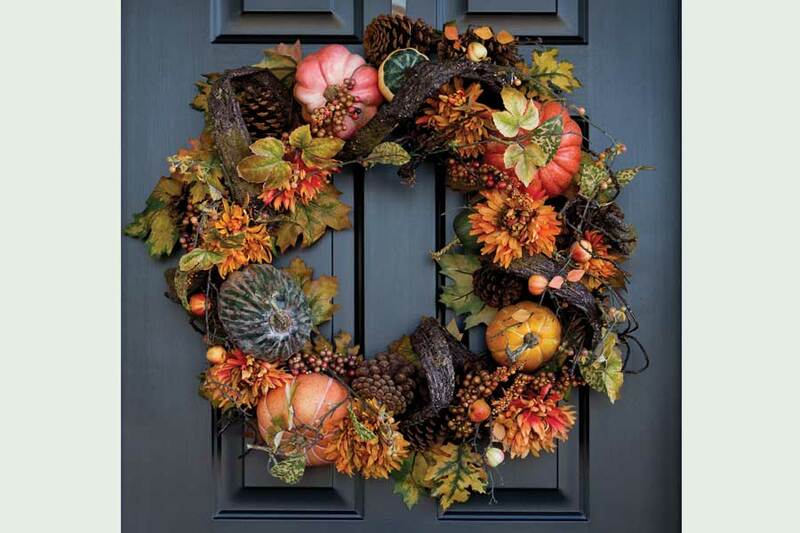 Fall wreaths can be made with dried eucalyptus, dried lavender, bittersweet, sticks, grasses, ribbons, bells, fruits, berries and other things, or they can be as simple as brightly colored leaves. Many can be made with lasting materials to become a permanent addition to fall décor, and most wreaths last for years with the proper care. Wreath designers at Boulder’s Sturtz & Copeland Florists & Garden Center will happily add touches to make a wreath uniquely yours, like dried chile peppers, decorative broom, a pop of gold strawflowers, and a nod to the harvest with wheat. Let your imagination run wild! Cheeky, soothing, inspiring and gorgeous, artisanal soaps by Courageous Soap are a joy to see, smell and above all, use. Owner Lisa Gillespie’s artistic background takes center stage in the colorful swirls, chips and stamps in her handcrafted, essential-oil-infused bars. Courageous Soap has the perfect blend of oils for moisturizing skin support and invigorating scents. 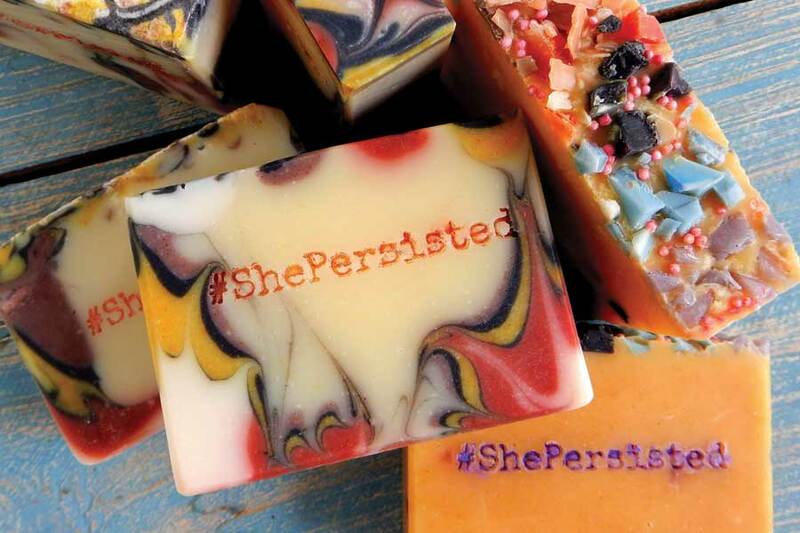 Each bar type has a whimsical name, like Badass Queen, #ShePersisted, Beach Walk, Long Road and Incorrigible Flora, to resonate with the person using the soap. “You’re there with this crazy piece of personal art in your hand—one with a funny name you can relate to. 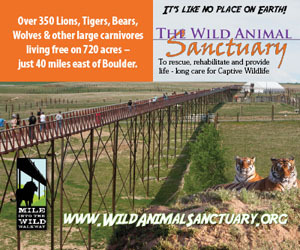 The water hits it, releasing the fragrance, and it just makes you feel good,” Gillespie says. 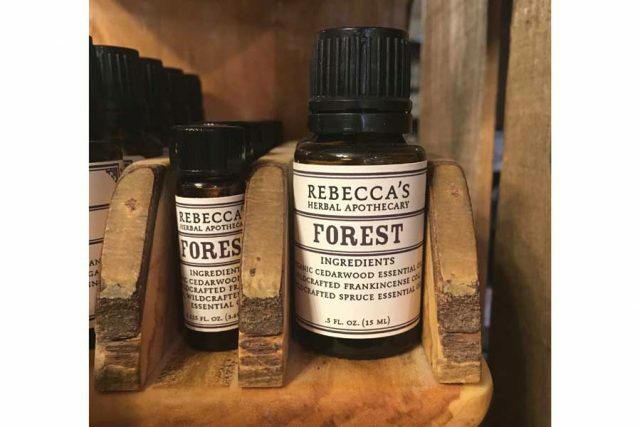 “That can be all you need for a few minutes of not thinking about all the stuff and stress, just a thought interrupter to get your mind off things.” She says her soaps encourage users to pause and regroup in a healthful way. “Some people like to meditate, but not everyone has that time. Yet everyone takes time for a shower or bath.” The company’s soaps typically last a month with regular use, and they’re available online at courageoussoap.com. Ask Rebecca Luna what comes to mind in fall and she muses on it—deep colors, a sense of hearth and a desire for nourishing the self before winter sets in. “As an herbalist, fall makes me think of coming in to the hearth, moving inward as things quiet down,” says the owner of Rebecca’s Herbal Apothecary & Supply. 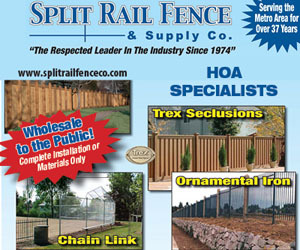 “Fall is when we look at trees and their beauty. As we appreciate them, we feel a connection to the earth.” That connection harkens to teas with rooty flavors like burdock, dandelion and hawthorn berries. The immune-boosting botanicals in Luna’s Nourishing Tonic Tea are designed to lift the spirit and nourish the body, and the woody scents of spruce, cedar and frankincense in the Forest Blend essential oil infuse the home with idyllic autumn fragrance. For Luna, coming back to the hearth means fortifying the body with “classic seasonal herbs” and taking time to relax. Her Decadent Rose salt scrub has four components—organic rose petals, frankincense, olive oil and Himalayan salt—to soothe, calm, detoxify and provide a sensory uplift. Check out the scrub and other rejuvenators at rebeccasherbs.com. Comb honey is an old-fashioned autumn treat that consists of unprocessed honey in beeswax cells. 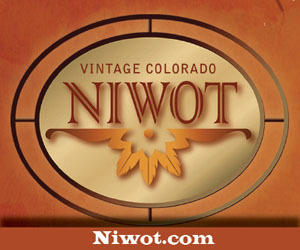 The honey combined with the wax creates a complex flavor and texture that true honey aficionados enjoy. Use comb honey with cheese plates, on toast or warm biscuits, or by itself as a deliciously sweet and chewy bite. 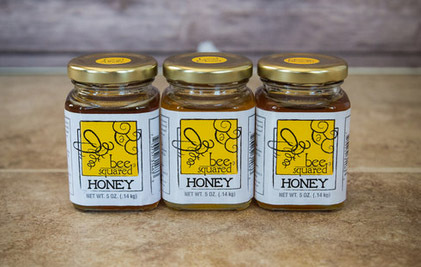 Bee Squared Apiaries in Berthoud is one source for this sweet treat (visit www.bethsbees.com). Stocking the pantry with the flavors of fall means setting aside space for homemade jams and jellies. 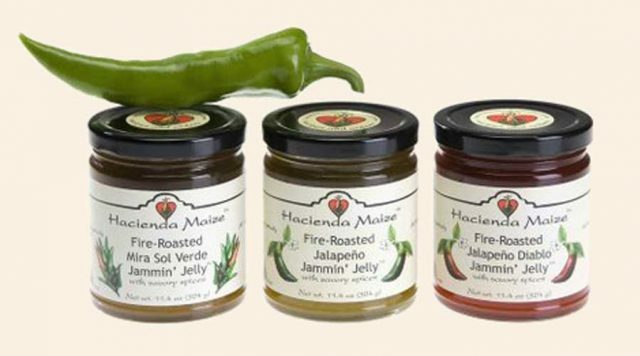 Hacienda Maize’s Jammin’ Jelly is an award-winning line of jellies the company claims are “unapologetically delicious.” The Maize family, whose roots in Colorado run six generations deep, packs its jellies with fresh Colorado-grown chiles, fire-roasted to flavor perfection. Use the jellies in a wide variety of dishes; visit the recipe page at www.haciendamaize.com/maize for sweet and spicy ideas. Photo courtesy Five Points Fermentation Co.
Want to balance all that sweetness and spice with something savory? 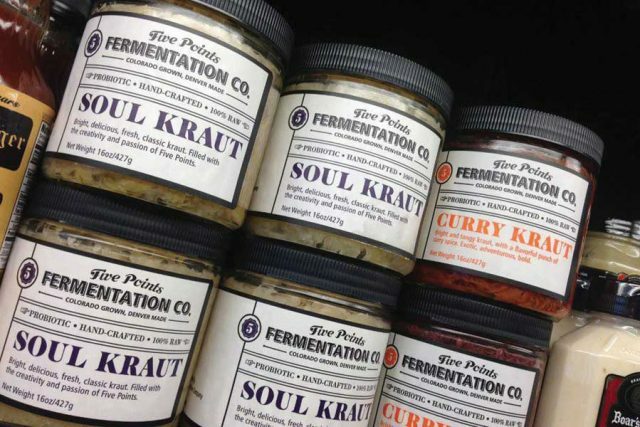 Stock your pantry with jars of tangy probiotic-laden kraut from Five Points Fermentation Co. Its Soul Kraut, Curry Kraut and kimchi are akin to “edible jazz,” says the company, whose passion is to bring good health to people and communities (visit facebook.com/fivepointsfermentation). 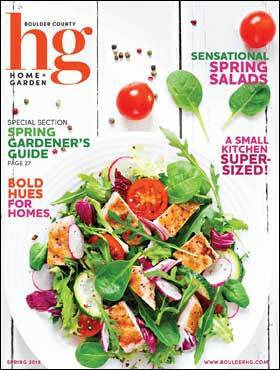 When seasoning dishes with a dash of this and a shake of that, try sprinkling on ­Gayle’s Salts. 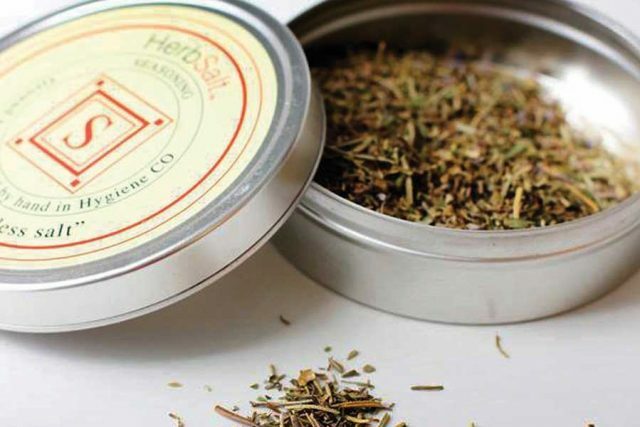 Made by Gayle McArthur in Hygiene, Gayle’s Salts pack a flavorful punch with “more herbs, less salt.” The HerbSalt features organic savory, thyme, rosemary, basil, tarragon and lavender in a base of French gray salt. Use it as a dry rub for grilled meats and seafood, or as a seasoning for roasted meats and vegetables, and even on toast. Find ­Gayle’s Salts at local farmers’ markets and online at www.purpledoormarket.net/gifts.php. Previous articlePassing Time on the Porch- Even if you don’t have one!